This page features videos and info on Chris Wade's darkly comic and surreal trilogy, starting with The Apple Picker, Seven Days in Never and ending with Cuentos, released in 2018. CUENTOS is the third part in Chris Wade's surreal trilogy, which started with The Apple Picker and Seven Days in Never (both 2017), films of the mind which dealt with similar themes and characters. Cuentos concerns a man who visits a friend's house but upon arrival finds they are not there. They have left a note suggesting he make himself at home, which he attempts to do. Then he finds a book, which unlocks stories related to people who have lived in the house. Cuentos tells those stories. This a dark comedy shot in black and white, featuring Andy Wade, Linzi Napier, Jack Napier, Chris Wade, Shawn Dimery and Lily Wade Napier. Cuentos (Chris Wade Art Film 2018) from Wisdom Twins Films on Vimeo. A darkly comic surreal drama about an old man who, disjointed from the world around him, looks back upon his life, and the darkest corners of his psyche. Featuring Jack Napier, Chris Wade, Shawn Dimery, Linzi Napier and Andy Wade. Also features voice work by legendary actors Toyah Willcox and Nigel Planer. Written and Directed by Chris Wade. "Love your film; beautiful to look at, consistent in mood, emotional, visually sophisticated, nicely acted. 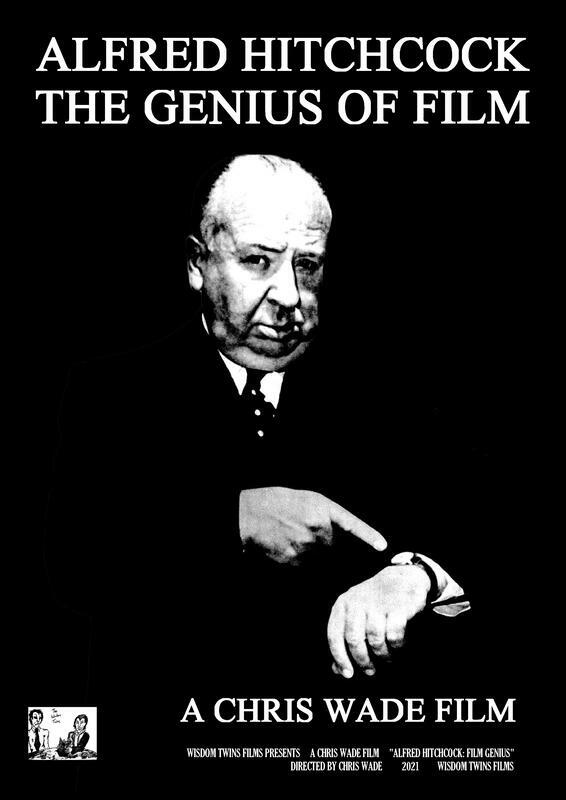 It is its own thing, a clear filmmaker at work. It reminds me of films from the 50’s in New York. Well done my friend." "Well you didn’t make life easy on yourself by making a 20 minute short. Fascinated by it all. A Standing ovation! Do hope you have got the second one planned..."
The Apple Picker Chris Wade Film 2017 from Wisdom Twins Films on Vimeo. "Have you ever spent Seven Days in Never?" After his debut feature The Apple Picker (2017) was selected for the Sydney World Film Festival, Chris Wade began filming footage for its follow up. In between writing and music projects, Wade assembled SEVEN DAYS IN NEVER, a companion film to The Apple Picker which takes you inside a young man's life and mind for one week. Featuring the voice of Nigel Planer, the film explores the world of the Never Man (played by Chris), his day to day existence, his dreams, his fears and his nightmares. 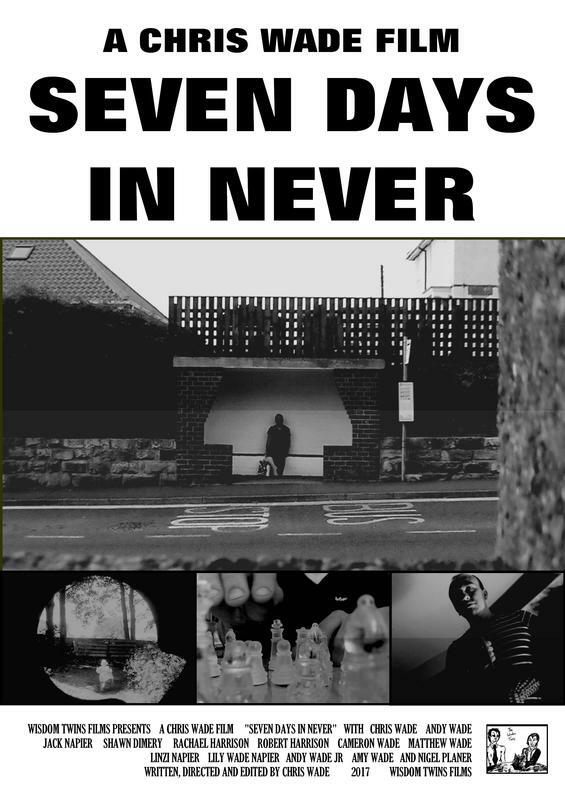 Seven Days in Never (Part 1) Directed by Chris Wade from Wisdom Twins Films on Vimeo. Seven Days in Never (Part 2) Directed by Chris Wade from Wisdom Twins Films on Vimeo.